Aside from the Ouya which hardly needs an introduction, having been available for almost a year now, there are a few alternatives that are either currently available or just over the horizon. With the news of Huawei’s new Android console popping up on the tech sites, I thought it might be a good time to summarise the machines available in this category. There aren’t many, and some may argue there are even fewer reasons to buy one, but they do exist so here they are. 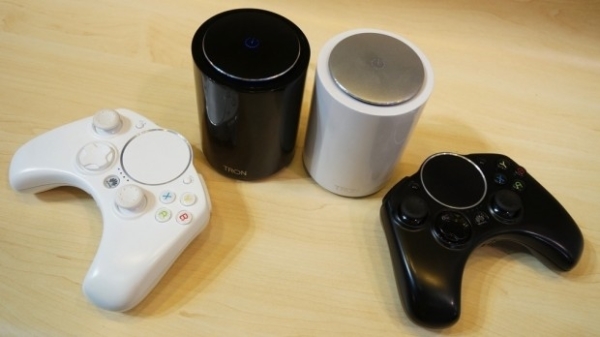 Arguably the first “mainstream” home Android console, the Ouya presented itself to a very mixed crowd. The Tegra 3 processor was already getting a little long in the tooth by the time the console arrived, but it didn’t matter much since the games library at release was scant to say the least. The problem with Android is that most of the games are not designed to work with a controller, which presents a difficult choice to manufacturers. Allow the console to access Google Play and risk a heft of games either not being compatible with the machine or the controller, or create your own app store with game ports tailored to the system. The latter may seem the obvious choice, but who wants to pay for a game twice? And (sideloading aside) who wants a library of games that’s only a fraction of the size of the Google Play store? These factors coupled with the controller criticisms created a vicious divide in opinion, with raging nerds on both sides of the camp hammering at keyboards to make themselves heard. 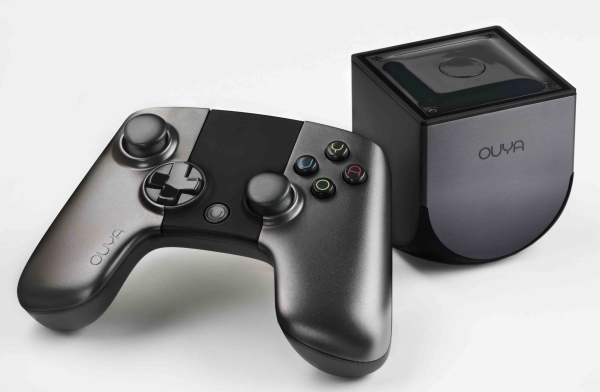 The console is still available for about $100 / £100 but rumour has it that the team are hoping to release an Ouya 2 this year with updated hardware, so it’s perhaps not the best time to buy one. So Madcatz took the other approach to Android gaming – they released a console late last year that does not depend upon it’s own ecosystem for games. All of those games you already paid for can be re-downloaded directly from Google Play and Tegra Zone and played on your giant HD television screen, with a controller! Well that’s how it was supposed to work but unfortunately it seems Mad Catz have some work to do. Many games including GTA, Shadowgun, Sine Mora, DOA2 and others are reported to be incompatible with with the device, either not showing the dreaded “not compatible with your device” error, not working properly with the controller or simply crashing at launch. One would hope that these problems require nothing more than some software fixes from Mad Catz, but whether we’ll see them or not is anyone’s guess. Life has just begun for this Tegra 4 powered device, so probably best to hold out for a while. You may need to start saving some cash anyway, because at $250 it surely isn’t cheap. 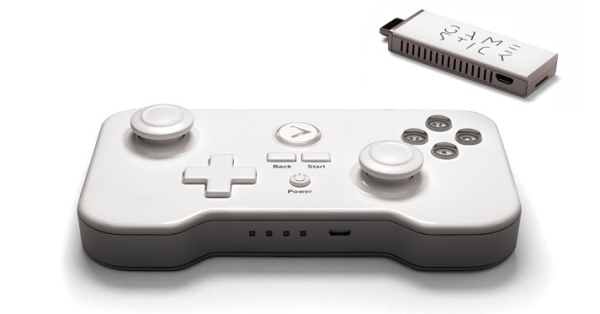 Based on the same Amlogic 8726-MX SoC found in the JXD S7300, the Gamestick is a cheaper alternative to the Ouya. Released a few months ago, the Gamestick hardware is housed inside a HDMI stick which sits neatly inside a cavity in the controller when not in use. Playjam went the same route as the Ouya by creating their own app store, and are suffering a similar backlash from buyers who are either required to pay again for games they already bought from Google or cannot buy the Android game they want because it is not available. Last I read, side loading was not possible either, but things may have changed since then. If you’re willing to use your own controllers and are happy to do some tinkering if need be, one of these might do the trick. Probably the cheapest option of the lot, a decent RK3188 HDMI stick can be had for less than $70. You might need to choose wisely if you intend on flashing a new ROM to the device, but with access to Google Play it’s not a bad option. Just bear in mind that there is zero official support for these things. Only days after China lifted its ban on gaming consoles, Huawei have announced their attempt at cracking the market at this year’s CES. Rumoured to house either the Tegra 4 or Nvidia’s newly announced Kepler based K1 SoC, the Tron is due to be released in China soon. Relying on its own closed app store, and possibly not getting a global release it’s hard to say if this machine will right any of the wrongs of the previous machines. Chances are it probably won’t, which is a shame I think. P.S. If I forgot any, please let me know. This is a rough market, especially with Notebook computers and the SteamBox coming in at around $300, and many quality tablet devices in the $200 price range. I can agree that tablets and phablets can hold a huge market for gaming, easy access and play as you go. The SteamBox seems like its not going to be as successful as they havent really set on a target audience, with 14 models released at CES between $300 and $6000. Rk3188 generic stick is way to go as soon as there is support for the ps4 controller on android… Then you can just do a bit of framework edit to get things to look a bit nicer on the big screen and be happy. Of course, thanks for the tip. I’ll add it when I get chance. It’s also interesting to note that we have no information about GamePop or any kind from BlueStacks. More than a half-year after announcement. I guess they’ve gave up? Zero Z6C (RK3188 based). Announced back in December.